Revitalization of the facade in Kraljice Natalije St.
Home/Revitalization of the facade in Kraljice Natalije St. The company “Ornament Investinzenjering” finished the revitalization of the facade in Kraljice Natalije St. No. 1-3 in Belgrade. The work was funded by the Secretariat for public utility services in the amount of 9.2 million dinars. 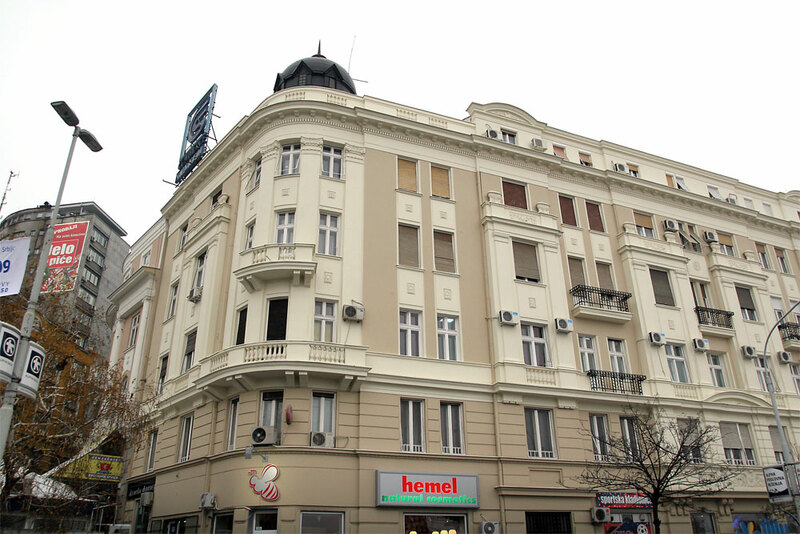 The project was developed by the construction company “Ratko Mitrovic” based on the conservation requirements of the Institute for Protection of Cultural Monuments of Belgrade. The works included a complete restoration of St. facade with decorative relief. This encompassed a complete sheet metal facade and doors replacement, repair and painting of facade windows and restoration of the synthetic stones in the ground floor area.